Audrey, 3' high tomatoes. I give up. . . Mine still fit within a ruler. The winds were also bad down here, 40 mph. The seedlings had to spend the day back inside under the lights. I knew the tender stems wouldn't survive, plus the dehydration from the wind. How is your outside garden doing. A photo or two? We will be in Sac Sat night so I will put off planting until we get back Sunday. @audrey.jeanne.roberts wrote: My tomatoes are about 3 feet high I would hate to lose them now!!! I'm sure she meant "inches", Sanderson. It was just a harmless little typo. Sorry, "I'm sure I meant inches "
Actually they were planted last summer as suckers off of last year's plants and are almost ready to fruit. I would be very bummed if I lost them now. My seedlings were fine as they are under plastic. I'm just about ready to transplant them into the garden and then put my plastic wide mouthed nut jars over them for protection. I just need to make my labels this year so it isn't mystery squash time. I was afraid I didn't plant certain squash so I planted more, and more and MORE! That's how I ended up with so many of my giant Boston Marrows, lol! I'll try to post pictures tomorrow - if my cell phone will let me send them. I think I have it fixed, but who knows?! I have a FOUR-FOOT brandywine tomato plant from last summer, so eat your heart out, Audrey! Serious question, now. I have about 3 dozen long bean starts in peat pots, ready to set out, BUT, the 10-day forecast says we're getting a cold storm 8-10 days out, with night time temps down to 39-40, which usually means about 35 here. What do I do? Try to keep the poor things alive in those little pots so I can bring them in at night, or plant them and hope they get strong enough in the next week to withstand at least 3 really cold nights? You could try planting. If they don't survive, it won't be long before you can just direct sow. My "mini-greenhouses" from wide mouthed plastic jars. 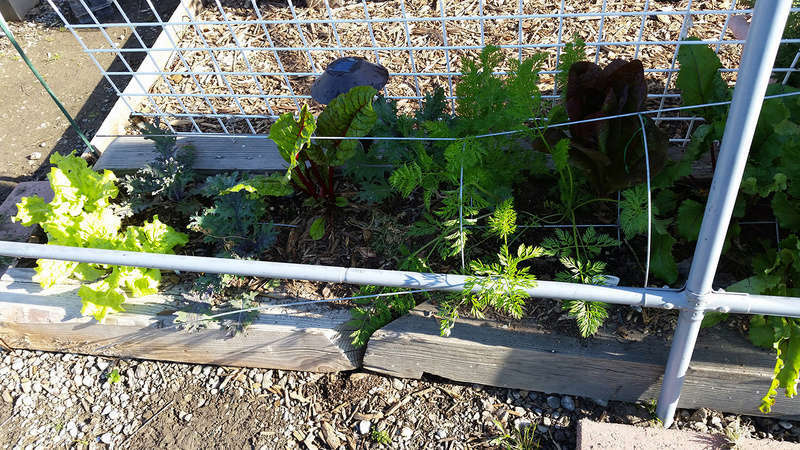 I use these to keep the grasshoppers away from new starts as well as rabbits, and also to keep the plants warm during unseasonably cool nights. They work very well. Kale, carrots (we've picked about 1/2) lettuce and beets. 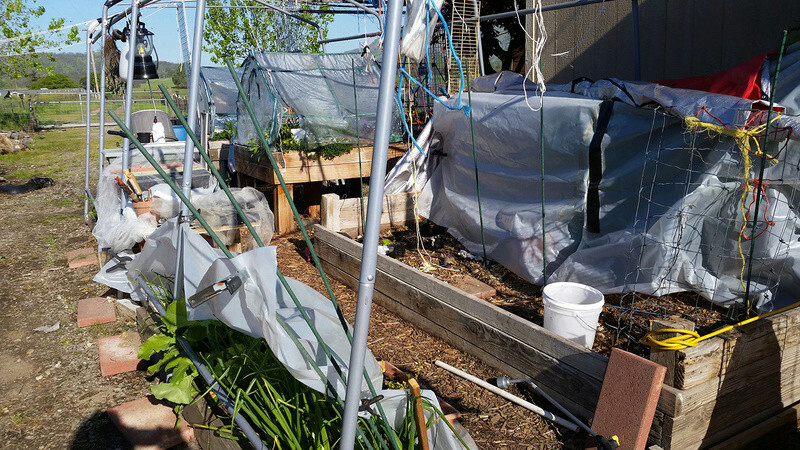 We had a HUGE windstorm and hubby and I were out in the middle of it taking down the greenhouse cover so it wouldn't be shredded. We've had to do some make shift covering until we get past some mid-30s night time temps. Under the largest cover in the large bed are 2, 4 foot high tomatoes that are blooming. One is a Roma and the other is a cherry tomatoes. There are also 2, Big Boy tomatoes that we just planted from Costco. 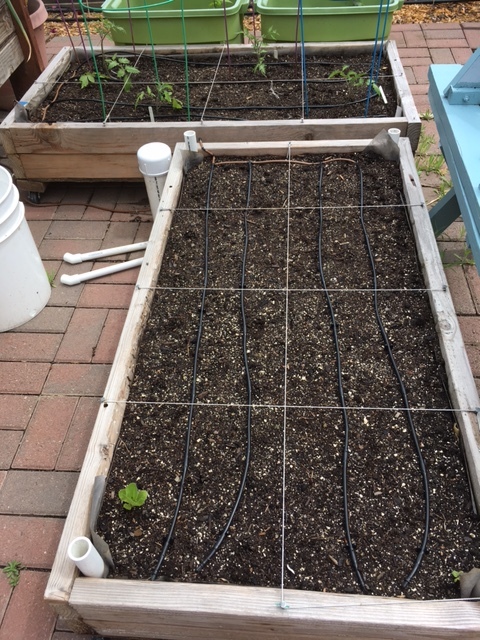 In the forefront is a bed with onions, white beets, some more younger onion starts and in between all of those plants I have red Chinese noodle beans starting. I want to use the green house frame for them to climb. I haven't exactly figured out how I'll do that yet. Probably will use hay bale string dropping from the cross beams. These are my winter beds. I had a couple of my Kohlrabi go to seed and I am simply letting them go for my pollinators. I have some broccoli and kale I've done likewise with. The hay mulch is to feed my worms in the beds. They make short work of it! This is an expansion on my garden this year. We have gophers, moles AND vols. 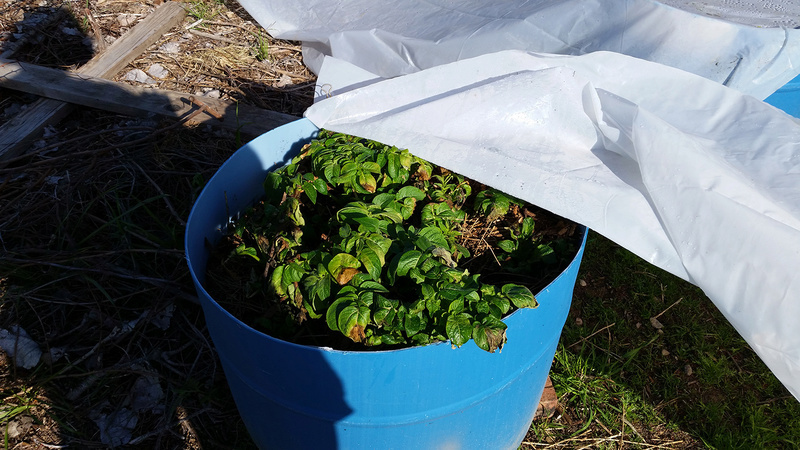 Last year I barely got any sweet potatoes or potatoes out of the garden, so this year I planted the potatoes in 55 gallon drums cut in half - they are food grade plastic. They started with 6 inches of soil, seed potatoes, then 4-6 inches of compost and soil above. They've grown now to the top of the barrels and I've been placing compost and mulch half way covering the leaves as they've grown. I had to cover them as we got unexpected lows and some of the leaves were damaged by the cold. The potatoes in the blue barrels are determinate versions (only grow potatoes below the first leaves): Yukon Gold, Red Borland and Adirondack Blue. I have a larger drum I didn't cut in half that has indeterminate Russets in it (they will continue growing potatoes all the way up the stems as we keep burying the plants). I will have 4 more of these barrels with sweet potatoes. I have purple sweet potatoes coming and am growing some slips from store bought SP right now. Ooo, thanks, Audrey. 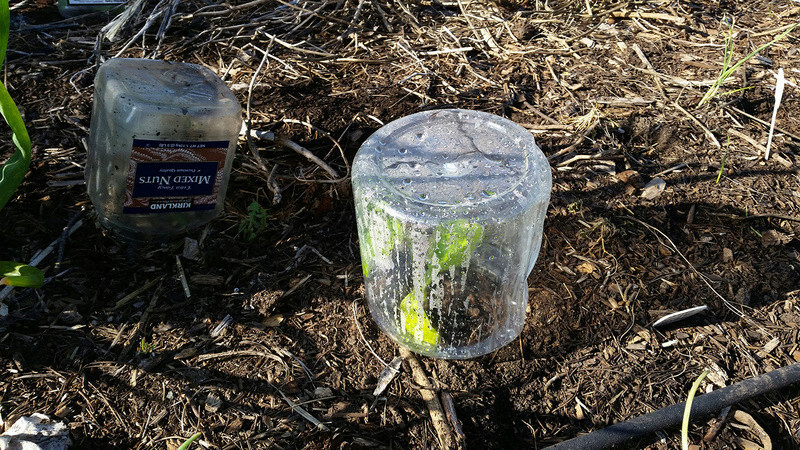 I think I can scrounge up some mini-greenhouse jars. Rain, rain, and more rain. Maybe a week from tomorrow I'll be able to plant something outside. 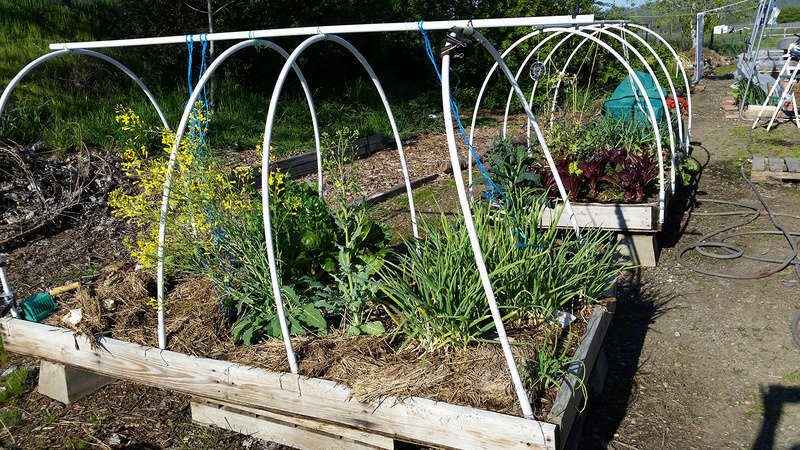 I think I'll use the Salad Bar (sfg) for root crops and peas/beans to climb up the back, a 3rd planting of mache (nothing came up from the first 2), and put everything else in the new BTE. I have a new crop of kale in there now, so I'll leave that alone, but the rest of the old stuff will go to the rabbit and chickens when the weather finally allows me to get serious out there. Right now it's all bolted and being loved by the bees. Old carrots still alive but not doing much. New carrots just poked their heads up, today. Those goofy peas have sprouted in the BTE bed in the Rescue Garden. I think I'll put dill and other herbs there, since it's mostly containers. Ate a mess of kale and peas for dinner. Delicious. Transplanted cilantro from Jiffy Pellets to permanent container. Found out that cilantro is higher in Vitamin C than any other plant. 2nd BTE movie showed folks picking and eating it right out of Paul's garden. I have no idea what it tastes like, but I will find out, soon. I'm growing it for our granddaughter, who loves to cook Mexican food. Ground cherries already producing fruit in the house. I don't think I can put them out until the first of May. I hope they're okay. Next year I won't even plant the seeds until the middle of March. Sanderson, you have the right idea of taking January and February off. I've been running myself ragged taking plants out, bringing plants in, turning lights off and on, and transplanting seedlings that want to be outside. @countrynaturals wrote: Transplanted cilantro from Jiffy Pellets to permanent container. Found out that cilantro is higher in Vitamin C than any other plant. 2nd BTE movie showed folks picking and eating it right out of Paul's garden. I have no idea what it tastes like, but I will find out, soon. I'm growing it for our granddaughter, who loves to cook Mexican food. Be prepared if you don't like Mexican food. Today, the cleaning ladies took some of the last of the cilantro and parsley. Tomorrow they come out for new herbs. Sanderson, you have the right idea of taking January and February off. I've been running myself ragged taking plants out, bringing plants in, turning lights off and on, and transplanting seedlings that want to be outside. It's fine when the seedlings are just under the lights, but that in and out, rain and sun this spring has made me happy I waited to start the seedlings. I've been kind of busy and haven't posted recently. Rain, sun, allergies. I read every post on the Forum but outside of our new member in Italy, haven't written much. I finally got some of the seedlings planted on Tuesday. 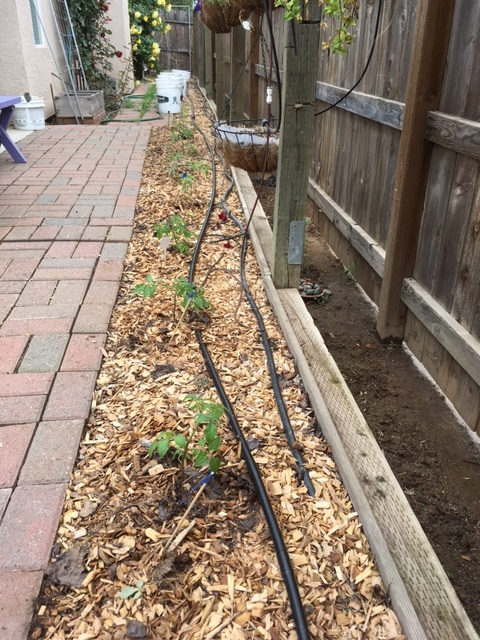 Seven (7) indeterminate tomatoes in the 2' x 7'. Four (4) determinate in the temporary 2' x 4'. 3 cherry tomatoes in a 2' x 3'. 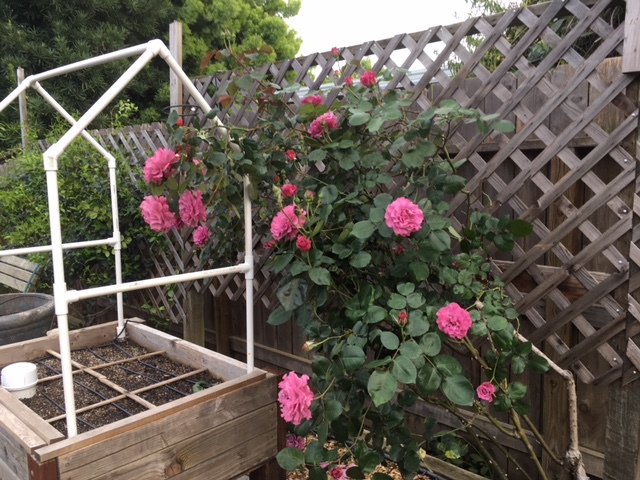 The wind blew a rose bush into the 2' x 3' and it had to be tied to the fence before I could plant. 16 peppers in the 2' x 8'. Sweet potato slips in their green totes. I have to remove the bolted cilantro and parsley from the 4'x 3.5' TT, amend it, and plant some of the herbs. There are baby sow bugs in some of the beds so I sprinkled Sluggo Plus. I don'twant my hard earned seedlings to disappear! The project for tomorrow is cleaning up the BTE stretch. 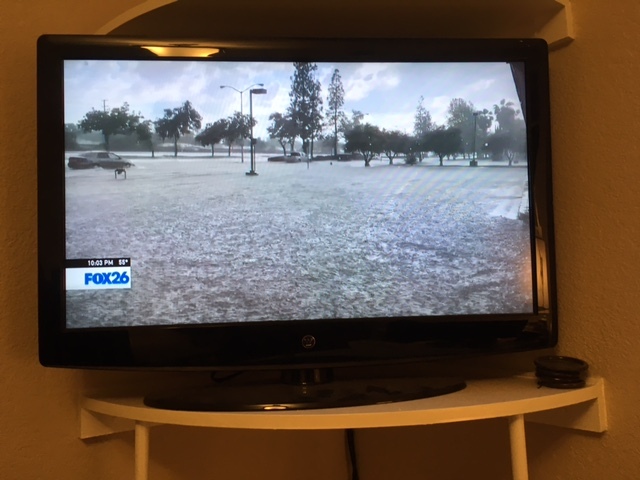 Just heard on the news that a storm cell moved over central Fresno City. Completely missed our place, thank goodness. 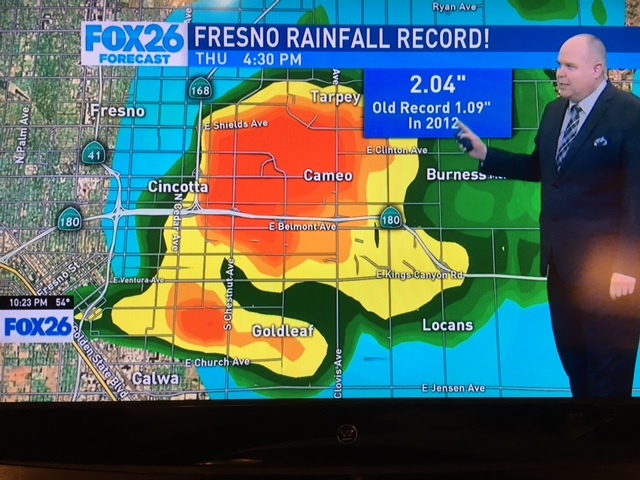 2" rain in 1.5 hours! 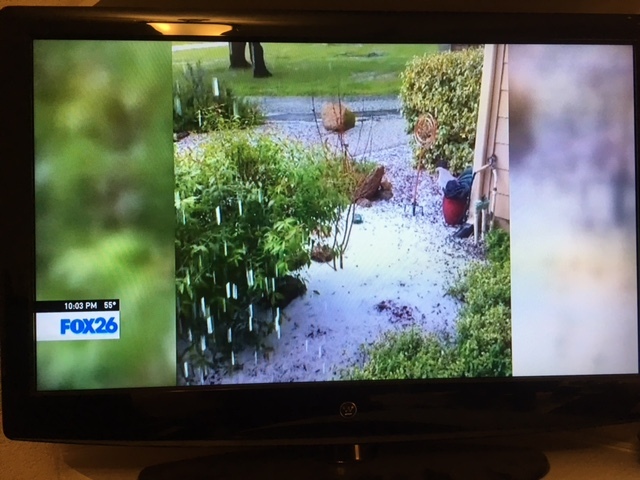 Plus hail. I'm finally getting out to ready my beds that have been empty since fall. last summer's super hot peppers over-wintered well, as did my tree Kale, artichokes, and leeks,so I won't do anything but add amendments to them and leave well enough alone. I have scaled back planting my beds this season, as the cost of watering makes it hard to go all-out with my 10 beds. I'm limiting my plantings to 2 variety of zucchini, some Italian basal, and 6 different indeterminate tomatoes (not going to try my luck with anything that wilted, blighted, burned or was susceptible to blossom end rot). I may just throw a handful of carrot or bush bean seeds in an empty bed if I change my mind. Last night should have been the last of the 30s for this season. It's supposed to be 43 tonight, then just one more night of 44 next week, so I'm gonna chance it and set out my yard-long beans, tomorrow. Fingers crossed. Everything else will wait until the end of next week when the night temps should be in the 50s. My favorite seed company sent me a 20% off code, so I just had to place another order. 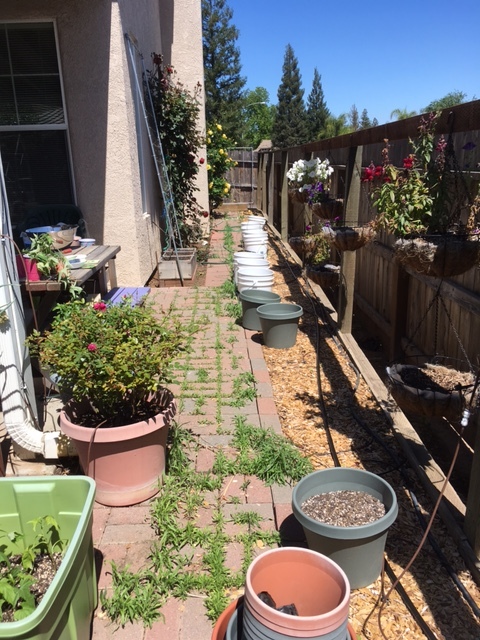 After all this rain, I kinda went nutz with flower seeds for pollinators and veggie seeds that I never thought I'd plant due to space and water limitations. 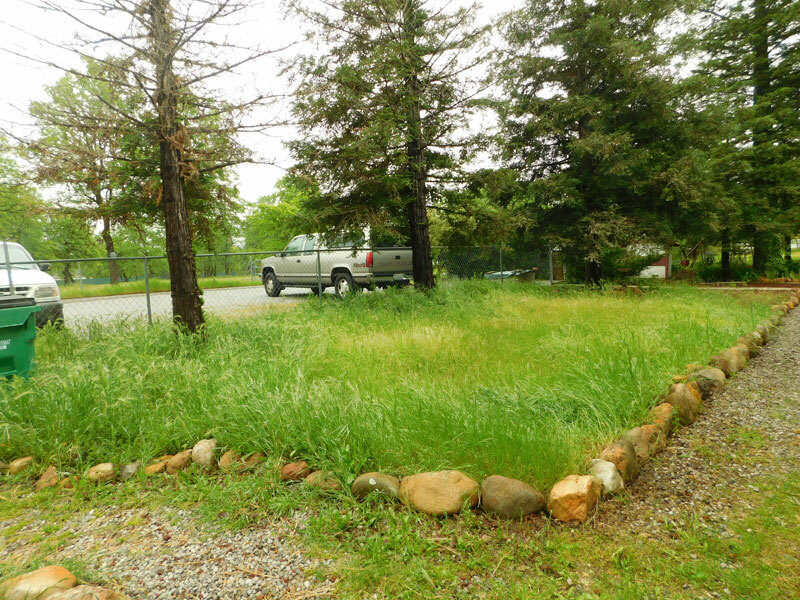 BTE solved the first problem and Nature solved the 2nd, so I'm going for a huge garden this year. Wish me luck. Oh you'll have so much fun and it'll be so beautiful! Enjoy! @CapeCoddess wrote: Oh you'll have so much fun and it'll be so beautiful! Enjoy! I'm like a kid at Christmas. I was going to wait until it warmed up a little more, but I've been waiting so long for this, I can't wait another minute. I'm going for it right now! So, how did your planting go? It looks like the nights in your area will be plus/minus 50*F.
I did manage to get some more plants in the beds. 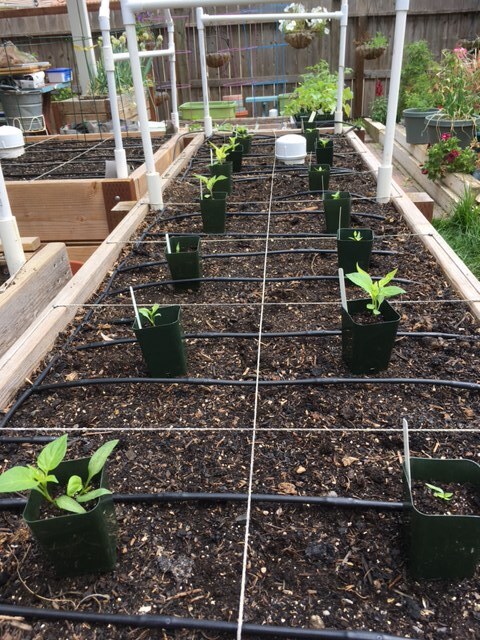 All 16 peppers planted. Two (2) surviving Japanese Millionaire Eggplants. Total of 30 tomatoes!! 7 in the 2' x 7', 3 in a 2' x 3', 4 in one of the 2' x 4' I'm baby sitting, 9 in the BTE strip and 7 in buckets. If I can't can this summer I will throw a major tantrum. Hopefully, no virus will attack this summer and I can keep on top of the grasshoppers. The bush Blue Lakes are sprouting in the 2nd 2' x 4' babysitting bed. Hard to see in the photo but they are. Nine (9) little bumps in each square. One of the lettuces my son planted even survived survived emptying the box and refilling for transportation. Sweet potato slips planted in the green storage totes. Backyard part of the BTE strip with 9 tomatoes. The weeds took 3 days to work out of the bricks (see photo in earlier post). I don't think the pole KY Wonders are sprouting in those two 1' x 3' boxes. Need to replace the trellises. 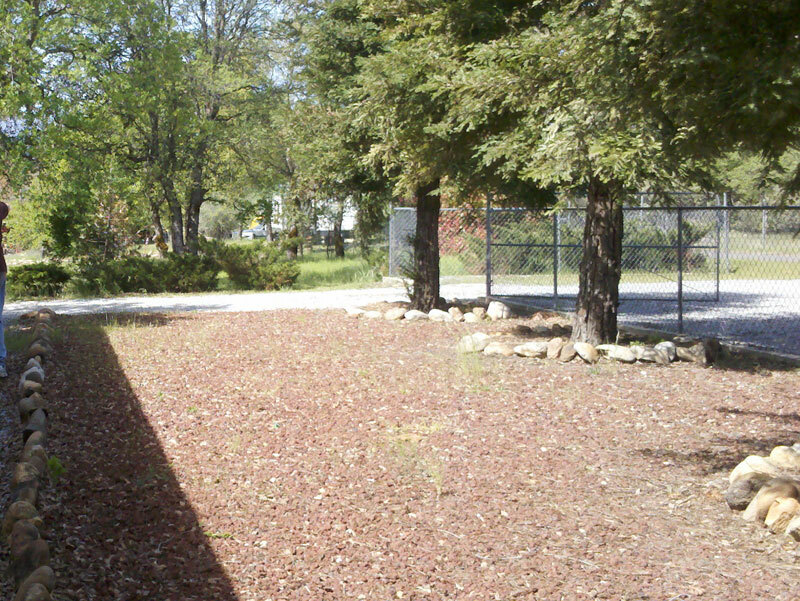 Further down the BTE, side yard, still needing weeding and seeding. 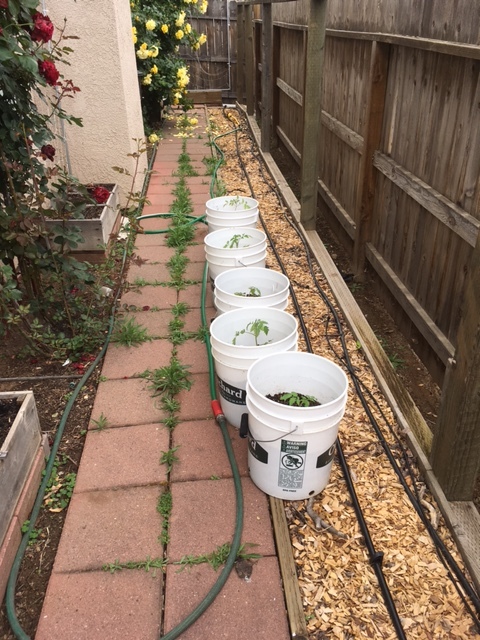 Here are 5 of the 7 buckets of tomatoes. I have to find a place for each bucket. I just couldn't throw them away. What a nightmare weeding job, Sanderson. I wracked my brain for a solution and even asked Hubby for input. I mentioned pulling up the pavers and putting down weed-cloth, then he reminded me of our front yard, which is all lava rocks over weed cloth. That's when I realized all I can do for you is offer the old saw: "Misery loves company." Here is what our front should look like. Here it is this morning from the opposite direction. Wanna come deal with our weeds, now? Feel a little better about yours? Mow that down to 3" and it'll look like a nice lawn in these parts, Country. I know this isn't the best way, but for least amount of work, cost, and TIME, I would go to the local farm supply, maybe Home Depot, and look for the attachment that fits on a 20 lb. propane tank. It is a mini flame thrower, for tight spots. After a quick torch on the green parts, they will go away, not leaving that much of a mess. Also, when they come back, because you are letting them get water, it is a quick fix again. I did this in Merced in the 80's and 90's. I had neighbors who asked me to do it for them. I did both sides of the street on my block, in about 10 minutes. I usually did it about once a month after the second time. I don't see anything that will catch quickly, it puts out an intense heat in a smallish spot that won't catch anything unless you hold it to it. Besides, you have a garden hose there ( make sure to move anything plastic away from the weeds at least 6 inches or more. I have one of those flame thrower weed killers. It roars like an angry dragon when using it. Some of our Canadian weeds seem to resist it.